(Hamilton) – New Jersey Department of Transportation (NJDOT) officials today announced a statewide fight against litter in which crews will patrol every mile of state highway in the month of March to pick up a winter’s worth of trash. The concentrated litter-removal effort supports the ongoing ‘Clean Up NJ’ initiative which brings a renewed focus to the important job of improving the appearance of New Jersey roadways. This litter removal operation is designed to be a fast moving, mass attack on litter that will show immediate, noticeable results. “In addition to the current effort, NJDOT is planning major litter removal operations several other times in 2013, preceding grass mowing cycles to avoid occurrences of mowers shredding the litter,” said NJDOT Assistant Commissioner of Operations Rich Shaw. Department of Corrections inmate crews once again will be supporting clean-up efforts along certain highway locations this year, as they have to great effect in the past two years. NJDOT crews and DOC inmates have collected about 10,000 tons of litter, or 20 million pounds, along state highways since the beginning of the Christie Administration in January, 2010. This is enough trash to bury an entire football field to a depth of 25 feet. Every hour that NJDOT crews spend picking up after those who choose to litter is an hour that could have been spent making other improvements to the highways, such as filling potholes, fixing guide rails, trimming trees or removing graffiti. Litter can clog storm drains and create potentially dangerous flash-flood conditions along roadways. NJDOT launched the ‘Clean Up NJ’ initiative in 2010 to make noticeable improvements in the appearance of state roadways. 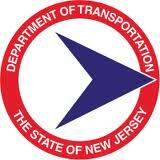 Under the initiative, NJDOT crews have periodically attended to all the maintenance needs along specific corridors. This strategy solves multiple maintenance issues that would be too large for a single crew to handle in a limited time frame. It combines the flexibility to respond to suggestions and concerns of residents and elected officials while also creating the capability to aggressively target specific corridors. Other components of the ‘Clean up NJ’ initiative include the Urban Youth Corps program, wildflower plantings and a revived Adopt-A-Highway program. Christie Administration efforts to keep New Jersey beautiful extend across departmental lines. Last week, the New Jersey Department of Environmental Protection announced its second annual ‘Dash for the Trash’, a large-scale, volunteer cleanup of sections of the Delaware River and Bay from Sussex to Cape May counties. This effort started March 9 and continues through March 17.